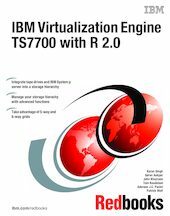 The TS7700 Virtualization Engine offers enhanced statistical reporting. It also includes a standards-based management interface for TS7700 Virtualization Engine management. These Virtualization Engines are based on IBM POWER7® technology. They offer improved performance for most System z tape workloads compared to the first generation of TS7700 Virtualization Engine servers.